Step 1: Bring the down leg into a bent position with the sole of the foot parallel to the active leg. Set the active leg on top of the inside of the down foot. 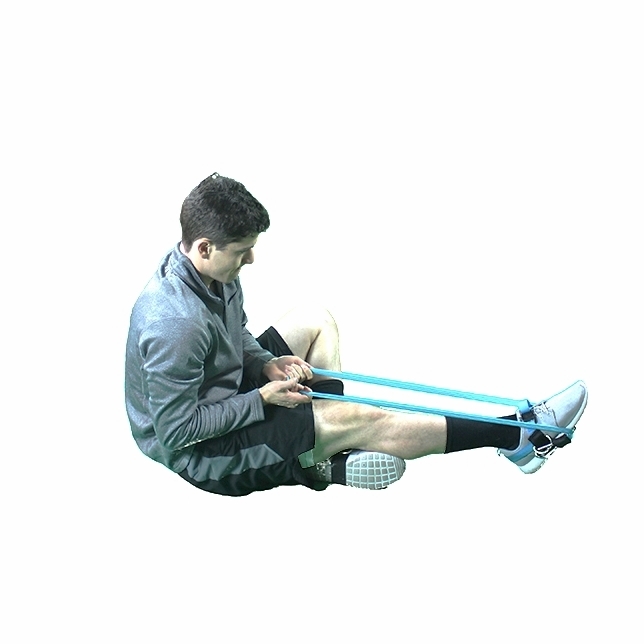 The active leg must stay rigid throughout the entire movement. Step 2: With the Link™ crossed and coming over the toe, pull on the Link™ to apply force against the top of the foot. Step 3: Push the toe away from the body against the Link™ pressure as far as possible.